"What excites me is that we have just scratched the surface of something new that could not only open a completely new field of scientific research, but also enable new technologies," said Dr. Ibrahim Karaman, Chevron Professor I and head of the university's Department of Materials Science and Engineering. The work was published in Scripta Materialia. Karaman's co-authors are Demircan Canadinc, William Trehern, and Ji Ma of Texas A&M, and Fanping Sun and Zaffir Chaudhry, Technical Fellow of the United Technologies Research Center (UTRC). The discovery is based on bringing together two relatively new areas of materials science involving metal alloys, or metals composed of two or more elements. The first area involves shape-memory alloys, "smart" materials that can switch from one shape to another with specific triggers, in this case temperature. Picture a straight metal rod that is bent into a corkscrew. By changing the temperature, the corkscrew turns back into a rod and vice versa. 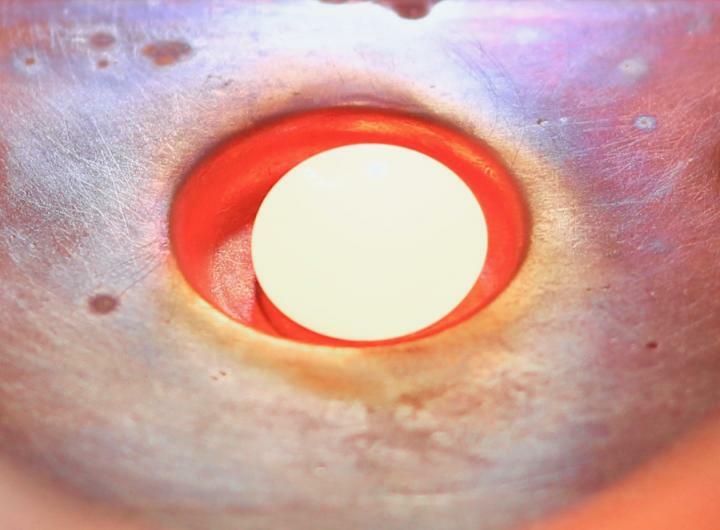 "When we mixed these elements in equal proportions we found that the resulting materials could work at temperatures well over 500 degrees C–one worked at 700 degrees C–without gold or platinum. That's a discovery," said Karaman. "It was also unexpected because the literature suggested otherwise." How do the new materials work? Karaman said they have ideas on how they operate at such high temperatures, but do not have solid theories yet. To that end, future work includes trying to understand what is happening at the atomic scale by conducting computer simulations. The researchers also aim to explore ways to improve the materials' properties even further. Karaman notes, however, that many other questions remain.